Protect what God has called you to lead by establishing a strong foundation for your church and getting tax-exempt status. 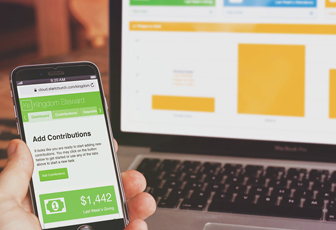 Tracking and managing your church’s finances have never been easier. 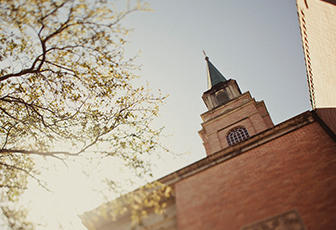 This program will take care of everything for you so you can focus on the ministry. Church Activities Subject to Taxes? Are You Aware of These Tax Forms? From vision to launching your first public service, StartCHURCH's Sequence ebook is quickly becoming a solid plan for church plants everywhere. Download your FREE copy today! 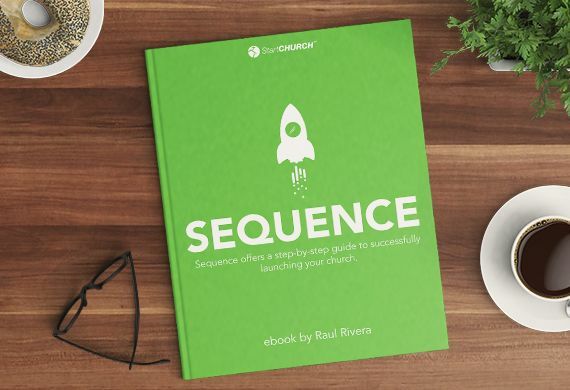 Thank you for downloading our Sequence™ eBook. You are now subscribed to the StartCHURCH Newsletter. The purpose of our newsletter is to provide quality information that helps ministry leaders make decisions that better serve their business and legal needs. If we can be of any further assistance to you, please feel free to give us a call at 770-638-3444. Your download should begin immediately. Get your FREE guide to church planting! No, I don't like FREE stuff! Signup for our weekly newsletter to get the latest blogs, updates, and amazing offers delivered directly to your inbox. You won't regret it! In recent years, the IRS has relied on social media as a way to prove tax liability on taxpayers. 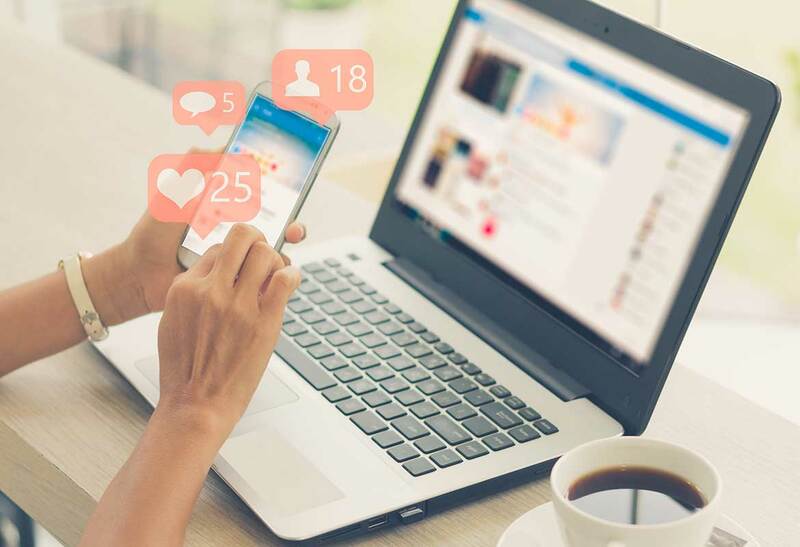 In an article posted on Inc. Magazine, Kevin P. McQuillan, CPA said, "What we do know is that social media is almost certainly a part of how the IRS chooses which audits to do, because the inquiry seems to be laser-focused, and they know what to look for." I want to share with you three specific ways the IRS can use your church’s social media account as an enforcement tool. As part of our StartRIGHT Service, a thorough reading of the church’s website and social media accounts are made to ensure that everything in the application process is consistent with the church’s online presence. Social media is a very effective way for the church to stay in touch with the congregation. However, churches and ministers should take precautions when posting and avoid documenting compliance violations. It happens all too often that for lack of compliance knowledge, a wonderful moment can become a tool used against you or your church in an audit. Let’s look at three ways revenue agents can use church and personal social media to conduct audits. When Pastor Edwards (not his real name) went through an audit, the IRS requested a copy of his bank statements for the whole year. As they went through each of the deposits he made, they noticed that the church paid him a $78,000 salary, but he actually received a total of $86,000 from the church. The revenue agent asked for an explanation. The pastor said some of the extra money was from reimbursements for traveling to a conference he attended during the summer and the rest was for mileage reimbursements. Normally, under IRS rules, those types of reimbursements are perfectly fine. But in this case they were not allowed. The revenue agent asked the pastor to submit to him expense receipts of the conference and mileage logs showing ministry use of his personal vehicle. The pastor went through all of his expense receipts and mileage logs to make sure all was in order. When the revenue agent examined the receipts for the conference, he determined that the church reimbursed him in the amount of $1,630.00 for the three-day conference. Then came the big question followed by a statement. Was your spouse with you at the conference? Your social media account shows several selfies of you and your spouse at meals with other pastors. “Well, yes, she was with me,” said Pastor Edwards. Would otherwise be allowed to deduct the travel expenses. Pastor Edward’s wife did not meet all three conditions. The IRS used the church’s social media account to determine that the $1,630.00 was not all reimbursable to him and assessed an excise tax. Selfies at a pastor’s conference was all that was needed to document an illegal act. Pastor Edwards would never take money from the church that was not honest. He knew he was not very good at keeping records. Every month, when it came time to submit his mileage reimbursements, he did his best to recall the church business use of his personal car so he could receive a reimbursement. He couldn’t always remember the exact dates that he traveled, but he did his best. When the IRS compared his travel logs with his social media account, they noticed his information did not always add up. How was he at a little league baseball game and visiting Sister Luanne at the hospital at the same time? When questioned, he realized he recorded his logs in the wrong month. He knew his bottom line was right, but his memory of the actual events on the exact dates was off. Accuracy matters. Staff members from ABC Church take a short video and posted it to the church’s social media account. The video was a testimonial of a certain person saying “thank you” to the church for a love offering given in a time of great need. The money was used to repair his car that was often used to pick up children for Kid’s Church. The individual was employed by the church as the children’s pastor and was paid $100 per week. When his car broke down, it put him in a tough situation because his secular job was about 15 miles each way and his car was the only way he could get there. The repair bill was $897.00 and the offering he received was $910.00. He was very thankful to the church and testified how God provided his needs through the congregation. When he went through a correspondence audit, the IRS specifically asked about the love offering he referred to in the video. ABC Church’s challenge is that they gave a “gift” to a needy member of the church, who also happened to be an employee and then they told the whole world about the generous donation he received by posting it on social media. The church assumed it was benevolence and did not report it as income on the his W-2. Section 102(c) of the Internal Revenue Code does not allow an exclusion from income tax any payment the church gives him because he is an employee of the church. This is true even if even if he is truly in need of benevolence. There are no exceptions to this section of the code. The audit would have gone well if the love offering was reported on his W-2. Get Your Ministry’s Finances In Order Today! There are times that I hesitate to post articles like this one because the potential exists for churches to react in manner that is opposite of the intention for the article. While examination of social media accounts are tools used by the IRS, it should never discourage churches and ministers from posting wonderful testimonies of the goodness of God. I simply encourage pastors and church leaders to consider what they post and screen them for compliance issues. There is power in knowing that your church is in compliance with God and the laws of man. StartCHURCH can help you get there. We won’t just help you startRIGHT, we will also help you stayRIGHT. Call us today at 877-494-4655 to learn how we can serve you and your church. Please feel free to comment. We always appreciate good dialogue. However, we do moderate each comment to ensure that it is on topic and not derogatory to other participants. We ask that you keep your comments brief and pertinent to the topic so that others may benefit. 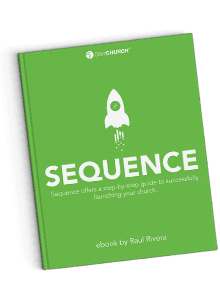 And receive our free eBook Sequence: A step-by-step guide to successfully launching your church. After having experience as a church planter and as a pastor, Raul founded StartCHURCH. He is passionate about helping other pastors and ministry leaders protect what God has given them to lead. Raul and his wife, Genel, live in Atlanta, GA with their five children. Can Conducting a Wedding Land You In Jail? Call us toll free 844-921-5459! © Copyright 2019, StartCHURCH All Rights Reserved. StartCHURCH, StartCHURCH Cloud, StartRIGHT, StayRIGHT, GetRIGHT, and Ultimate Church Structure are trademarks of Four Winds Technologies, Inc. licensed to StartCHURCH Georgia, Inc.
Information on this site is provided for informational purposes. It is not intended to be legal advice in any way or form. This site is meant to be used as a reference work only, which may or may not help you make informed decisions concerning your church or ministry. It is not to be used in replacement of or as a substitute for a lawyer or CPA. As always, you should seek the counsel of a competent lawyer or CPA. The authors and/or publishers are not responsible for any legal repercussions, adverse effects, or consequences resulting from the use of any of the information discussed on this site. Please review StartCHURCH’s full Terms of Service. *StartCHURCH provides clerical assistance to help you process your own articles of incorporation and prepare your own bylaws. StartCHURCH does not provide legal advice.